My Open Access roundup for 2015: A year that access negotiators edged closer to the brink. 2 out of 3... Limited statistical literacy in doctors and journalists is scary! 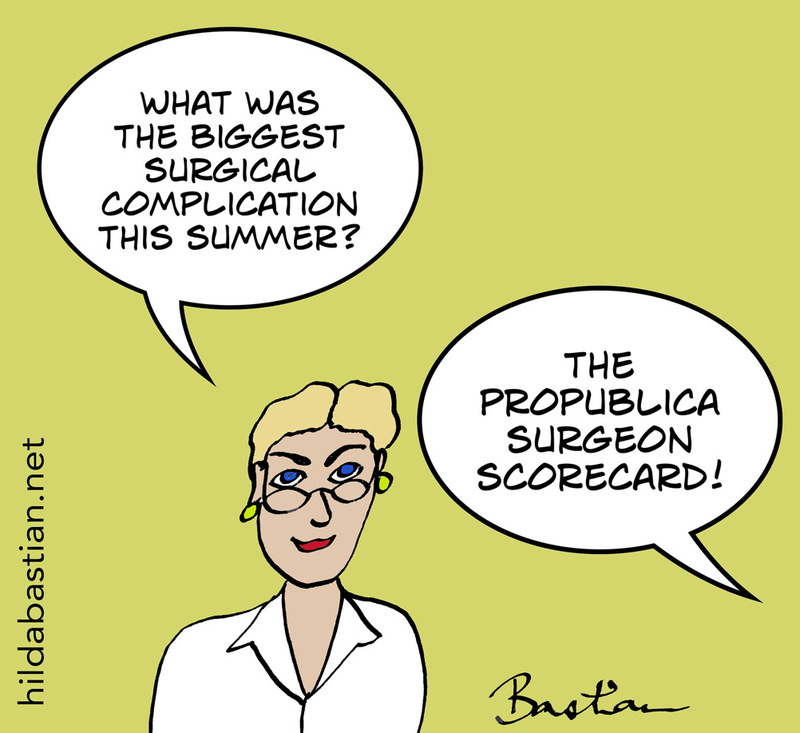 Updated post (and cartoon) at Statistically Funny - and cartoon posted on tumblr. 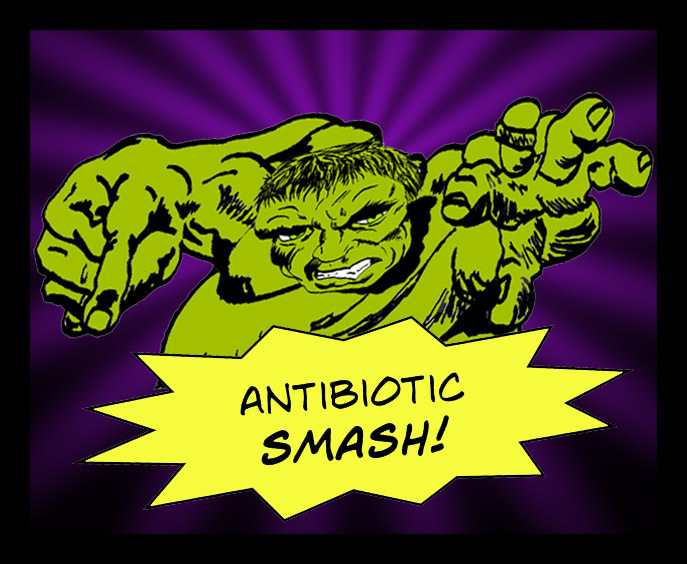 Pylori Story concluded with The Microbe Revolt: about the rise, fall, and rise of Helicobacter Pylori. It's my first attempt at a full comic strip. My 10 most-read posts in 2015: they were mostly about women and sexism in science, science skills, and statistics. Thanks for the reading and encouragement! My first comic strip! It's called Pylori Story. #1 is Acid Attack! Tune in each day for more installments of stomach-churning terror! A randomized trial of online cognitive behavior therapy (CBT) depression was widely reported as showing it doesn't work. I've written a post on websites for anxiety and depression at Absolutely Maybe, so I looked into it carefully to see whether that post needed revision. I concluded it didn't (but added an update note to the post). I commented on the reasons at PubMed Commons. 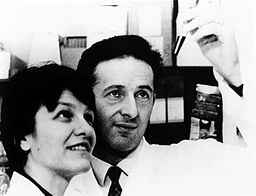 While researching for a major super-sekrit project for Absolutely Maybe, I came across a woman scientist on Wikipedia's timeline of immunology. Her name is Eva Klein, and she didn't have a Wikipedia page, but whoever put her on the timeline had slated her as needing one. (That's what the red links in Wikipedia mean.) Turns out her husband had a page, but not her. There was a photo of her and husband, where he was named and she wasn't. Eva Klein worked with mice. 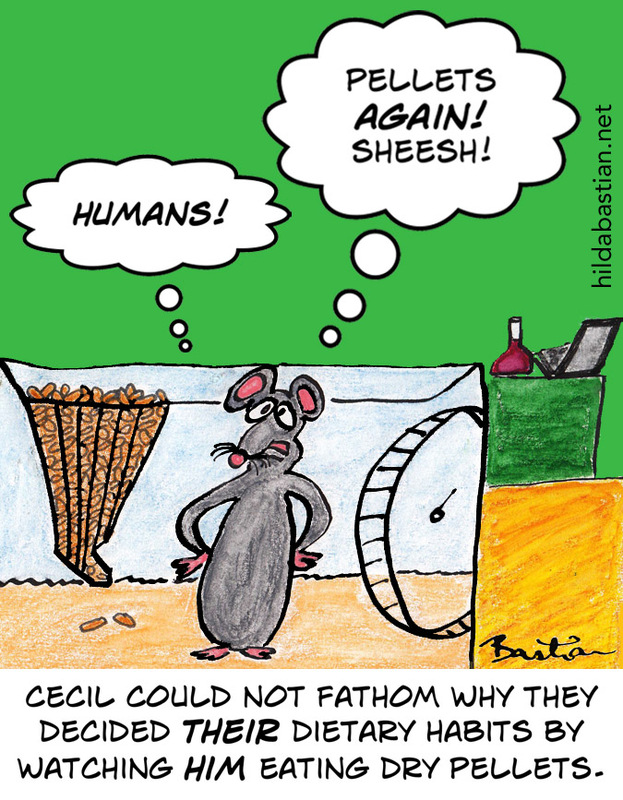 Ironically, in the morning I'd updated my cartoon and 2014 posts on why 2 out of 3 claims from animal research don't pan out for humans! You can reach them both from here on tumblr. Eva Klein's story is a great example, though, of just how important the 1 out of 3 that do pan out are! 9 PubMed Ninja Skills: Search, slash & collect! The joys of searching PubMed's 25 million biomedical citations. New Statistically Funny! 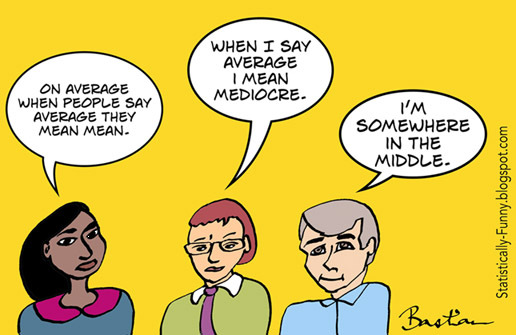 More Than Average Confusion About What Mean Means Mean - a gentle intro to standardized mean differences. Science and the Rise of the Co-Authors: from the typical wolf in the 17th century - to breaking the 5,000-author-paper in 2015. We still aren't getting this right (and then there's "the jackass factor"). First post for the month at Absolutely Maybe. Plus The perils of data bingo! Lots of data + multiple testing = many statistical illusions. An old favorite refreshed and posted to Tumblr. 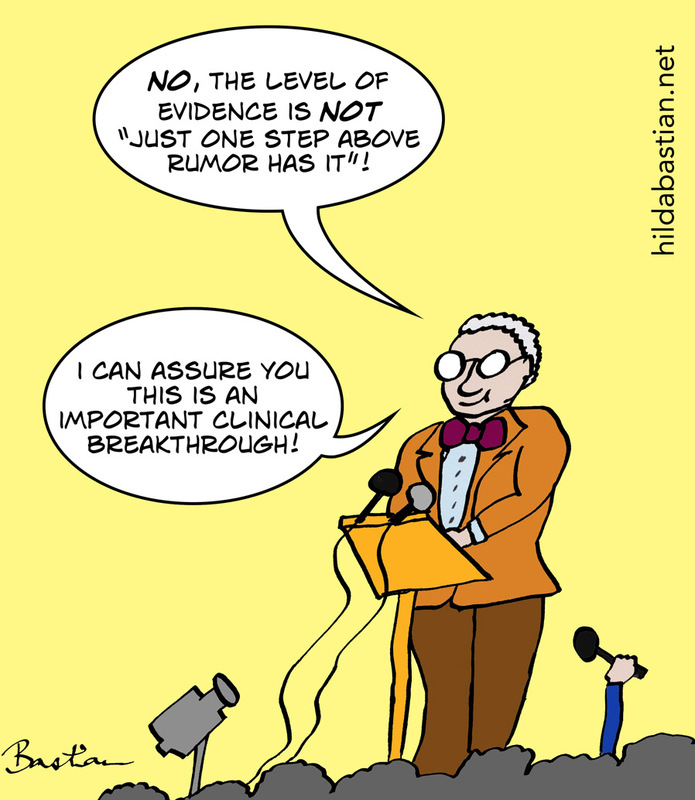 Latest cartoons added to Tumblr: Researchers - Don't Become a Statistic!, The Forest Plot Trilogy - A Gripping Thriller Concludes, and on the right side of the angels in Heaven's Department of Epidemiology. And The "Un-Calm" After the Tim Hunt Storm...tracking the end of the major media cycle and its aftermath.